Watford and Arsenal face at Vicarage Road Stadium, in a match for the 34th round of the Premier League. In the last league head‑to‑head, played in 29‑09‑2018, Arsenal got a home win by (2‑0). At this stadium, the head‑to‑head history favours the away team, since they have a record of 2 wins and 1 loss in the last 3 matches. However, the last time these teams met at this stadium, on 14‑10‑2017, in a match for the Premier League, Watford won by (2‑1). The goals of the match were scored by T. Deeney (71' ) and T. Cleverley (90' ), for Watford, and by P. Mertesacker (39' ), for Arsenal. In this match the home advantage may play an important role, since Arsenal presents significant differences between home and away performances. The home team is currently in the 10th position of the league, with 46 points won, after 13 wins, 7 draws and 12 losses. In the penultimate match, they lost in an away match against Manchester United, by (2‑1). In the last match, they won in a home match against Fulham, by (4‑1). This is a team that usually maintains its competitive levels in home and away matches, since in the last 30 matches they register 6 wins, 4 draws and 5 losses in away matches; against 7 wins, 3 draws and 5 losses at their stadium. They come to this match after a home win against Wolverhampton Wanderers by (3‑2), after extended time. 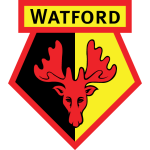 For the league, Watford won 17 points out of 30 possible points, after 5 wins, 2 draws and 3 losses in the last 10 home matches. They haven't been very strong defensively, since they have suffered goals in 7 of the last 10 matches, but their offense has scored frequently, since they have scored goals in 7 of the last 10 matches for this competition. In their home matches there is a tendency for goals, since 11 of the last 15 matches for this competition have ended with Over 2,5 goals. In 32 matches for this competition, they have conceded the first goal 16 times and have only turned the score around in 2. there is 1 period that stands out in the last 15 home matches for this competition: they have suffered 7 of their 20 goals between minutes (31'‑45'). Watford arrive for this match with a home win in extra time against Wolverhampton, in a game to count for the FA Cup. In the last game for the championship, the home team beat Fulham 4-1. The home club usually play in 4-4-2, preferring a style of constant transition, where the two most advanced men are Gray and Deeney: the latter is Watford's top scorer with 9 goals scored. One of the weaknesses of the hosts is in the way they defend the set pieces. Coach Javi Gracia will not be able to count on Holebas, Cleverley and Domingos Quina for being injured. Confirmed Lineup: B. Foster, D. Janmaat, Kiko Femenía, C. Kabasele, C. Cathcart, A. Masina, E. Capoue, A. Doucouré, W. Hughes, A. Gray, T. Deeney. The away team is currently in the 5th position of the league, with 63 points won, after 19 wins, 6 draws and 7 losses. In the penultimate match, they won in a home match against Newcastle United, by (2‑0). In the last match, they lost in an away match against Everton, by (1‑0). This is a team that usually makes good use of the home advantage, stronger with the help of its supporters, since in the last 30 matches they register 4 wins, 4 draws and 7 losses in away matches, with 21 goals scored and 25 conceded; against 13 wins and 2 losses at their stadium, with 33 goals scored and 9 conceded. In their last match, for the UEFA Europa League, they got a home win against Napoli by (2‑0). In the last 10 away league matches Arsenal has a record of 2 wins, 3 draws and 5 losses, so they have won 9 points out of 30 possible. Their offense has scored consistently, as they have scored goals in 9 of the last 10 matches for this competition. In their away mathes there is a tendency for goals, since 11 of the last 15 matches for this competition have ended with Over 2,5 goals. In 32 matches for this competition, they have conceded the first goal 11 times and have only turned the score around in 2. Arsenal come to this round motivated after beating Napoli 2-0, in a match to count for the first leg of the Europa League quarter-finals. However, in the last game for the championship, the Londoners lost to Everton 1-0. The visitors usually play in a 3-5-2 where the two men responsible for targeting the opposing goal are Lacazette and Aubameyang. 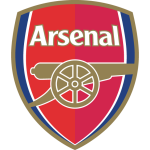 Thus, and even away from home, it is expected that Arsenal will adopt a more offensive posture, bearing in mind that they present more individual and collective quality. For this game the coach can count on Sokratis, suspended, besides Bellerín, Welbeck and Holding, all with physical problems. Confirmed Lineup: B. Leno, Nacho Monreal, L. Koscielny, K. Mavropanos, S. Mustafi, G. Xhaka, A. Iwobi, H. Mkhitaryan, L. Torreira, A. Ramsey, P. Aubameyang. The most likely scenario for this match will be the occurrence of a few goals. It is anticipated that it is a game with a somewhat high rhythm, given the way the two teams approach their encounters. It should be noted that both Watford and Arsenal often score and suffer multiple goals when they play in these conditions. In this way, it is very interesting to risk in favor of the '' Overs '' in this game.